Through his extensive litigation experience, Brendan McQuaid has made a meaningful difference in the lives of his clients. 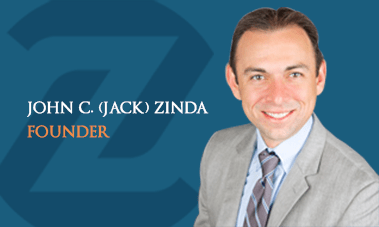 Today, he is a valued member of the attorney team at Zinda Law Group, where he focuses his practice on automobile collisions, traumatic brain injuries, premises liability, dog bites, product injuries, and many other areas of personal injury. Brendan graduated with a bachelor’s degree in applied economics and management from the prestigious Cornell University. While there, he also lettered on the baseball team for four years and became the third winningest pitcher in the program’s history, which dates back to 1869. He later earned his juris doctorate with honors from the University of Miami School of Law. Over the course of his collegiate career, he distinguished himself as the recipient of numerous academic honors and merit-based scholarships. Brendan began practicing law at an insurance defense firm based in Miami, representing clients from a wide range of industries, including Fortune 500 companies, hospitals, nursing homes, and medical practices. After gaining valuable insight into how insurance companies operate, he decided to put his considerable legal talents toward protecting injury victims against insurers. He soon joined a firm in Sarasota, Florida, where he proved his mettle as a plaintiffs’ attorney in a number of high-stakes cases–several of which included seven-figure settlements–and where he became one of the youngest shareholders in the 40-year history of the practice. During his tenure, he also became board certified in Business Litigation, the highest level of certification from the Florida Bar. Brendan has gained a unique perspective from his diverse professional experience. As a former insurance defense attorney, he understands the many difficulties injury victims face when an insurance company attempts to minimize or deny their claim, and he uses his insight to help individuals seek the maximum compensation they deserve under the law. University of Miami School of Law, J.D. Zinda Law Group is a personal injury law firm that helps people who have been injured in an accident seek the compensation they deserve.